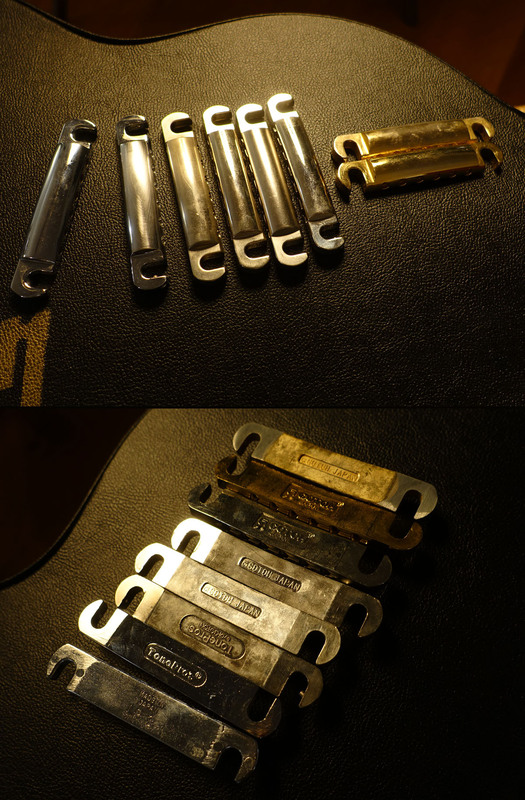 Various stop tailpieces by Tone Pros, Gotoh etc. 1 x chrome, 5 x nickel, 2 x gold plated. Set price.